Штатные магнитолы Intro в Новосибирске. AUDI A3 05+(IE) INTRO CHR-4243A3 25 870р. AUDI A4/A5/Q5 08+(IE) INTRO CHR-4244A4 29 350р. BMW 1(F-20)(IE) INTRO CHR-3211 30 350р. BMW 5(F10),1(F-20)/11(IE) INTRO CHR-3247 30 350р. CHEVROLET Aveo 12+ (IE) INTRO CHR-3117AV 25 870р. CHEVROLET Captiva, Aveo, Epica (IE) INTRO CHR-2231CH 25 870р. CHEVROLET Captiva,Epica 12+ (IE) INTRO CHR-3131CH 29 350р. CHEVROLET Cruze (IE) INTRO CHR-2218CZ 24 680р. CHEVROLET ORLANDO (IE) INTRO CHR-3121CH 25 870р. CHEVROLET TAHOE(IE) INTRO CHR-2242TH 25 870р. CHRYSLER 07+,DODGE 07+(IE) INTRO CHR-5121CR 25 870р. CITROEN C-4 (IE) 08-11 INTRO CHR-6244С4 30 350р. CITROEN C-5 (IE) INTRO CHR-6145С5 31 350р. CITROEN C-Crosser (IE) INTRO CHR-6124 XL 28 350р. FORD Focus 2, C-Max, Fusion, Fiesta 05+; S-Max, Transit (IE) INTRO CHR-3310 FO 23 880р. FORD Focus 3, Mondeo 08+, C-Max, S-Max, Kuga, Galaxy new (IE) INTRO CHR-2277FM 23 800р. FORD RANGER 5 (07+) INTRO CHR-7746FR 23 880р. HONDA CROSS TOUR 08+(IE) INTRO CHR-2289 CR 28 350р. HONDA Accord 08+(IE) INTRO CHR-2288 AD 25 870р. HONDA Civic (4D) 06+ (IE) INTRO CHR-3701CV 24 680р. HONDA Civic 12+ (IE) INTRO CHR-3612CV 28 350р. HONDA CRV 07+ (IE) INTRO CHR-3626 CR 24 680р. HYUNDAI Elantra 07+ INTRO CHR-2232EL 23 100р. HYUNDAI Elantra 12+ INTRO CHR-2431EL 28 350р. HYUNDAI H1 Grand Starex INTRO CHR-7754H1 22 780р. 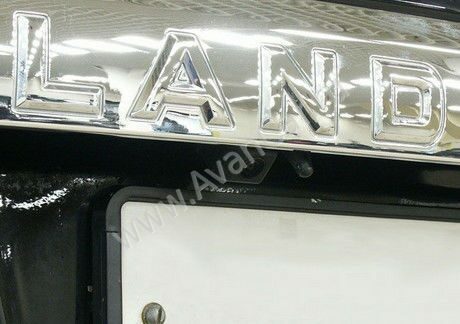 HYUNDAI H1 Grand Starex(IE) INTRO CHR-7764H1 23 880р. HYUNDAI IX-35 (IE) INTRO CHR-2261IX 23 100р. HYUNDAI IX-55 Veracruz INTRO CHR-7112 IX 25 870р. HYUNDAI IX-55 Veracruz(IE) INTRO CHR-2342 IX 28 350р. HYUNDAI Santa Fe INTRO CHR-2240SF 23 100р. HYUNDAI Santa Fe 11+(IE) INTRO CHR-2440SF 25 870р. HYUNDAI SOLARIS(IE) INTRO CHR-2211SL 22 700р. HYUNDAI SONATA YF INTRO CHR-2215YF 23 800р. HYUNDAI SONATA YF (6,1CD) INTRO CHR-2415YF 28 350р. KIA MOHAWE10+ INTRO CHR-1816MW 25 870р. KIA Optima 3(IE) INTRO CHR-1812K5 26 870р. KIA RIO 11+ (IE) INTRO CHR-1817RO 23 800р. KIA SORENTO 10+(IE) INTRO CHR-1811ST 25 870р. KIA SOUL(IE) INTRO CHR-1818SL 25 870р. KIA SPORTAGE 2,cerato(IE) INTRO CHR-1809SP 25 870р. KIA SPORTAGE(IE) INTRO CHR-1821SP 22 700р. KIA СEED 10(IE) INTRO CHR-1810СD 23 800р. LAND ROVER Discovery 3,4, Range Rover Sport INTRO CHR-1035D3 33 350р. LAND ROVER Freelander 2(IE) INTRO CHR-1370FL2 28 350р. LEXUS ES 350(IE) INTRO CHR-2135ES 33 350р. LEXUS RX 270(IE) INTRO CHR-2170RX 28 350р. LEXUS RX 330(IE)доп.блок INTRO CHR-2175RX 30 350р. MAZDA 3 09+(IE) INTRO CHR-4633 MZ3 23 800р. MAZDA 6 09+ BL(IE) INTRO CHR-4610 MZ6 25 870р. MAZDA BT-50(08+) INTRO CHR-7746BT 23 880р. MAZDA CX-7(IE) INTRO CHR-4677M7 25 870р. MITSUBISHI ASX/RVR(IE) INTRO CHR-6144 AX 25 100р. MITSUBISHI Lancer 10 INTRO CHR-6107 lAN 33 350р. MITSUBISHI Lancer 10(IE) INTRO CHR-6110 lAN 24 700р. MITSUBISHI Outlander XL(IE) INTRO CHR-6124 XL 28 350р. MITSUBISHI Pajero 4(IE) INTRO CHR-6100PJ 25 100р. NISSAN TEANA 08+ (IE) INTRO CHR-2270NT 28 350р. NISSAN X-Trail, Quashqai, Tiida(IE) INTRO CHR-2266U 23 800р. OPEL Astra H(IE) INTRO CHR-1215OP 25 870р. OPEL Astra J 10+(IE) INTRO CHR-1209 OP 25 870р. OPEL Insignia (IE) INTRO CHR-1210 OP 29 350р. PEUGEOT 4007 (IE) INTRO CHR-6124 XL 28 350р. PEUGEOT 407,308 (IE) INTRO CHR-2308PG 23 100р. RENAULT DUSTER (IE) INTRO CHR-1414DT 23 880р. RENAULT FLUENCE,MEGAN 3(IE) INTRO CHR-1412FL 25 870р. SMART Fortwo-2 (IE) INTRO CHR-1710 SM 25 870р. SSANG YONG Actyon 11+ INTRO CHR-7753SY 22 780р. SSANG YONG Actyon 11+(IE) INTRO CHR-7763SY 23 880р. 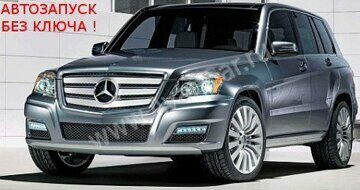 SSANG YONG Rexton INTRO CHR-7752RX 22 780р. SSANG YONG Rexton(IE) INTRO CHR-7762RX 23 880р. SSANG YONG Сyron Actyon INTRO CHR-7751SY 22 780р. SSANG YONG Сyron Actyon(IE) INTRO CHR-7761SY 23 880р. SUBARU Forester, Impreza (IE) INTRO CHR-2265SF 23 800р. SUBARU LEGASY(IE) INTRO CHR-2264LY 25 870р. SUZUKI Grand Vitara 05+(IE) INTRO CHR-2207GV 25 870р. SUZUKI JIMMY INTRO CHR-0746JM 25 870р. SUZUKI SWIFT INTRO CHR-0745SW 23 800р. SUZUKI SWIFT 2011+(IE) INTRO CHR-0711SW 23 800р. SUZUKI SX-4 (IE) INTRO CHR-0750SX 23 800р. TOYOTA AURIS (IE) INTRO CHR-2177AU 28 350р. TOYOTA Camry 06+ (IE) INTRO CHR-2271CA 23 100р. TOYOTA Camry 12+ (IE) INTRO CHR-2291CA 28 350р. TOYOTA Corolla 07+ (IE) INTRO CHR-2274CO 25 870р. TOYOTA HighLander 08+ (IE) INTRO CHR-2278HL 28 350р. TOYOTA L.C200 (IE) INTRO CHR-3200LC 30 350р. TOYOTA Land Cruiser 100(IE)доп.блок INTRO CHR-2176LC 30 350р. TOYOTA Prado-120(IE) INTRO CHR-2272PR 25 870р. TOYOTA Prado-150 10+ (IE) INTRO CHR-2279PR 28 350р. TOYOTA PRIUS (IE) INTRO CHR-2281PS 25 870р. TOYOTA RAV 4 06+ (IE) INTRO CHR-2273R4 25 870р. TOYOTA Tundra, Sequoia 07+ (IE) * JBL доп.блок INTRO CHR-2276TD 29 350р. TOYOTA Universal (IE) INTRO CHR-2275U 23 800р. VOLVO S-40 INTRO CHR-7004S40 33 350р. VOLVO XC-60 INTRO CHR-7011XC60 23 800р. VOLVO XC-60(IE) INTRO CHR-7060XC 28 350р. VOLVO XC-90 INTRO CHR-7005XC90 36 350р. VW Passat B6, СС , (IE) белый спидометр INTRO CHR-8656 B6 25 870р. VW Passat B7,СС,Amarok,Tiguan (IE) белый спидометр INTRO CHR-8676 25 870р. INTRO CHR-UNIVERSAL 2din DVD,навигация NAVITEL , ТВ , рулевой адаптер INTRO CHR-7750 18 760р. INTRO CHR-UNIVERSAL 2din DVD,навигация ,(IE) ТВ , рулевой адаптер INTRO CHR-7760 21 000р.